Disallowing the use of certain usernames is something you should indeed consider in order to avoid having users with offending usernames registered on your Board. By default phpBB comes with the option to fully manage such restrictions via the Administration Control Panel of your Board. In this tutorial we will show you how to disallow certain username from being registered and also how to remove existing restrictions related to the disallowed username. 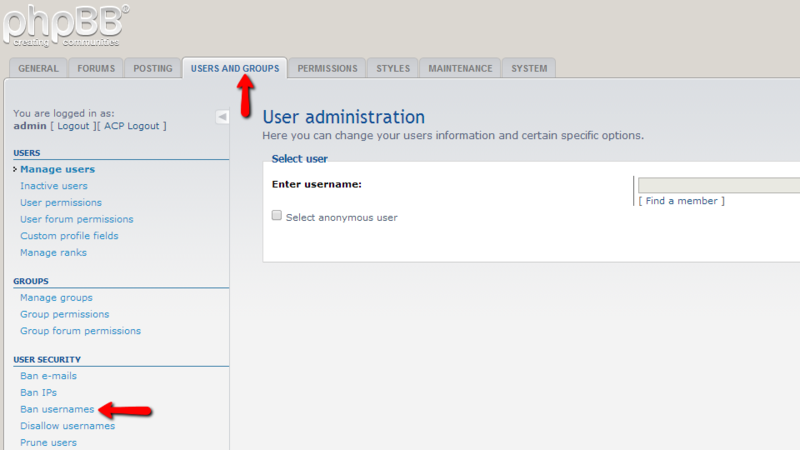 In order to access the Disallow Usernames feature you will need to login into the Administration Control Panel of your website and navigate to Users and Groups>Disallow Usernames. The form you will be presented with for disallowing the use of certain username is fairly simple and it contains a single field called Username. 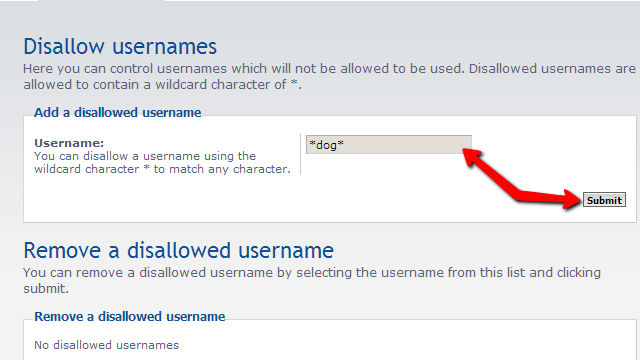 You will need to input the username you would like to disallow from being registered in the text box on that page. The “*” character is used for instructing your Board to disallow any character in the username. 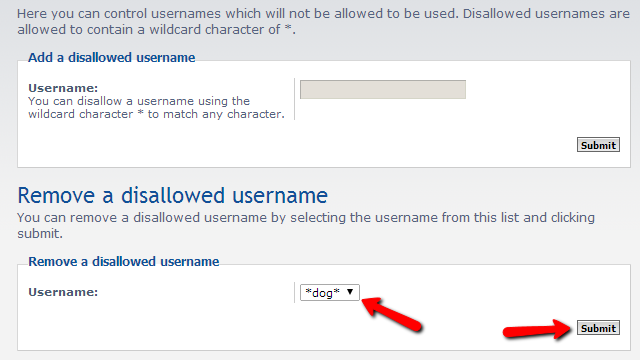 In the above provided example we are disallowing any username containing the “dog” word in it no matter where in the username that word can be found – e.g. dogshow (at the beginning of the username); showdog (at the end of the username); showdogshow (anywhere in the username). Once you are ready filling the string you would like to disallow please use the Submit button so you can save it. Once the string is saved it will appear in the list bellow in the “Remove a disallowed username” section. Which lead us to the removing action. In that interface you will be able to select the disallowed username you have already added to the list and respectively remove it from the list using the Submit button. That is all! You now know how to restrict certain usernames from being registered.